Post news Report RSS	0.5.5 released! Alpha 0.5.5 released. Important features: bug fixes, new main website + wiki, alpha trailer, and entry into the 2014 IGF. 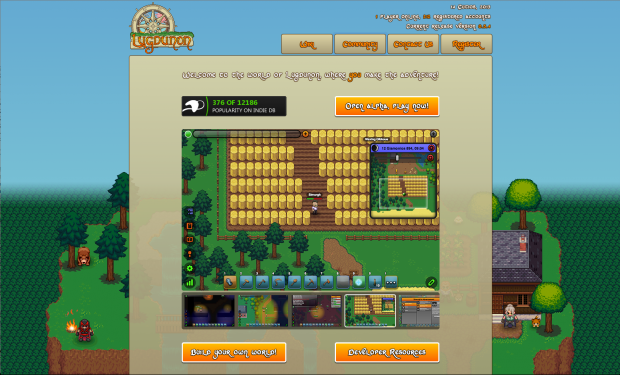 The main website at lugdunon.net underwent a complete overhaul, finally ending up with a lighter, more friendly theme, and straightforward navigation. Scrolling to the bottom reveals the background scene in full. All of the more in-depth content present in the original website has been moved to a dedicated wiki, located at wiki.lugdunon.net. 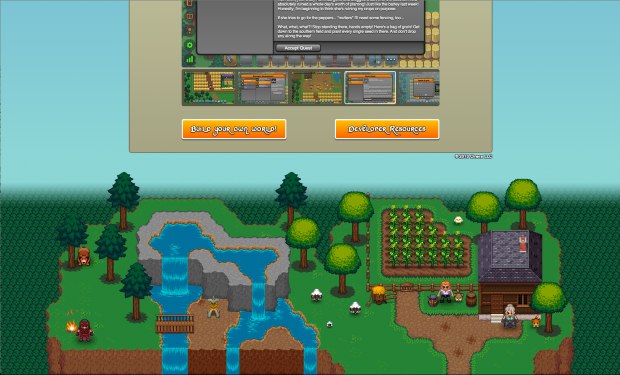 The new wiki will be where all resources on how to play, edit, and run your own Lugdunon servers are located. Time was also spent getting Lugdunon's first trailer together. It mainly focuses on the core gameplay and world editing features. All of the above effort eventually culminated in our entry into the 2014 IGF Competition. The upcoming release will focus heavily on performance improvements, bug fixes, and new questing content. The full change log for 0.5.5 is available here.